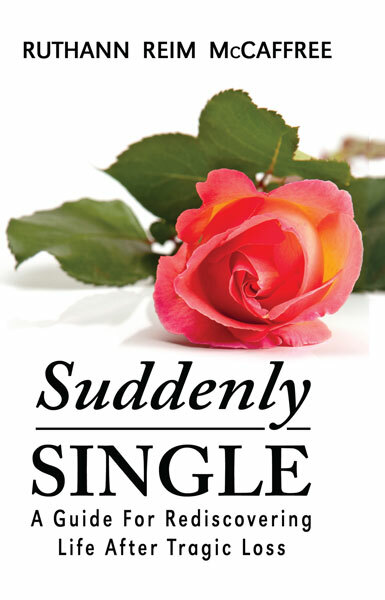 For additional information about this book, visit the website suddenlysinglethebook.com. One moment, they were a happily married couple of 40 years facing a normal, hectic, work day. The next moment, Ruthann found herself faced with the task of making arrangements for her husband’s memorial service, all while dealing with intense feelings of sorrow and despair. As a means of coping with the aftermath of losing Terry, Ruthann began keeping a record of the events following his death. This journal became Suddenly Single: A Guide For Rediscovering Life After Tragic Loss, where Ruthann shares her personal journey following the devastating shock of losing her life partner. Ruthann has shaped this into a touching memoir and tribute, which also serves as an inspirational guide to help those who are experiencing a similar loss in their own lives. Provided within the context of Ruthann’s story are her “Ten Survival Steps,” serving as a thoughtful framework to help others work through many of the overwhelming aspects of grief. She offers tips for answering the most basic of questions (“How are you?”), as well as how to learn to laugh again. All of this comes with one goal in mind: helping others restructure their lives after losing a loved one.